The X-Guard has been developed to fulfil the role of protection of offices and negotiations. The device transmits radio signals, cutting-off communications between end devices (handy, NIC, etc.) and central units (base station, router, etc.) by using a unique transmission method that confuses the receiving circuits of end devices as if no central unit was within the service area. Following the continues development of the wireless communication the X-Guard is modular and offers up to 8 bands, which could be selected upon ordering. 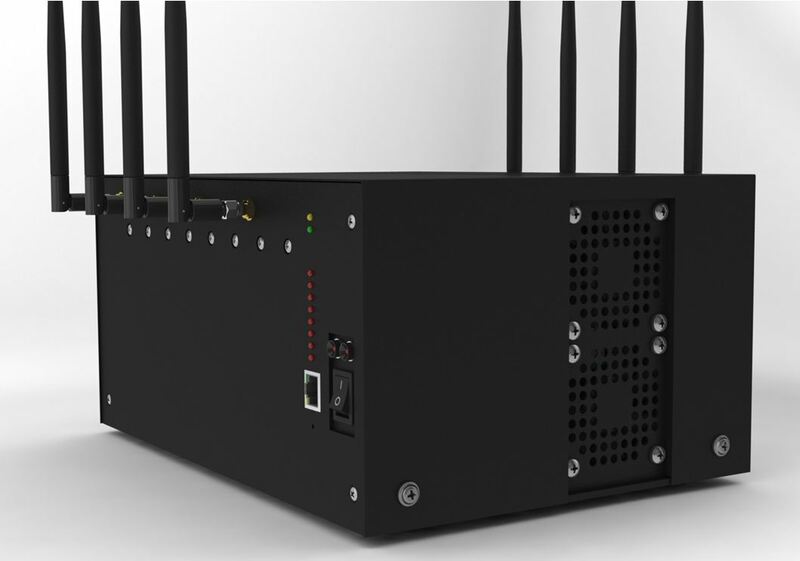 This jammer does not interfere with any communications except the selected ones within the quiet zone and naturally does not interfere with communications outside the regulated area. Currently available bands: GSM 900/1800, 3G, WiFi, Bluetooth, LTE, GPS. Further bands are available upon request.